This is how I got hard stuff into my kids when they were little. I used to mix probiotics, prebiotics, and other weird and wonderful things I used to build my boys gut flora into this mix. I hadn't made this since they were little UNTIL my boys refused to eat their apples in their lunchboxes because they were too bitter. Sometimes organic apples can taste bitter and they are always covered in weird and wonderful spots, lumps and bumps which we embrace because real food isn't perfect!! I refused to throw out these half eaten apples and I remembered my twins fave treat that I used to feed them when they were babies and made it again and it was devoured!!! 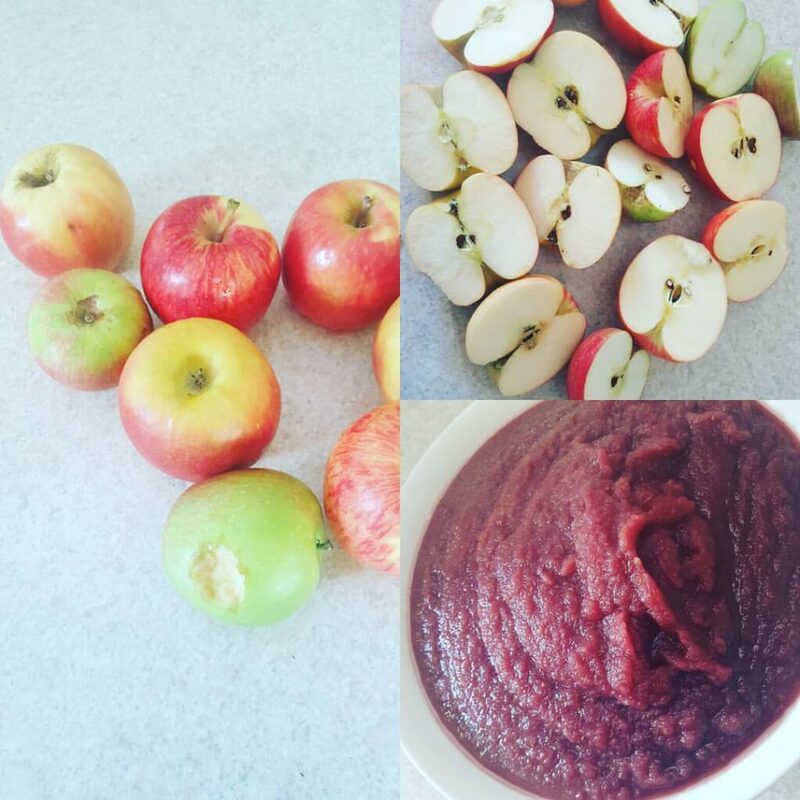 Cut apples (& beetroot if using) in half and chuck in thermo. Leave skins on and seeds in! Chop it for a few seconds and add 1/2 cup water and cook for 20 minutes at 100. If no thermo chop into small pieces and place on saucepan just cover in water and gently simmer with lid mainly on just a small gap to allow heat to escape. Do this for 25 mins until apples soft. At 15 minute mark add juice of 1 lemon 1 tsp organic cinnamon (not cassia) and 1 cup frozen organic blueberries. Cook for 5 mins more them whizz for 10 seconds and puree. Omg. So delicious. 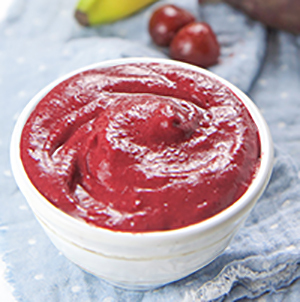 This makes a delicious snack on it's own or mix with some yoghurt or in porridge. Stewed apple with skins and seeds on is an incredible food for kids. Apples are a really unusual food because they have dual effect and can help both diarrhoea and constipation. This was what my boys always asked for when they were sick. Very easy to digest and filled with so many nutrients. The apple seeds contain B17 one of the MOST powerful anti cancer nutrients and immune boosters in nature. We do not eat enough B17 and it's hard to get kids to eat apple seeds. This way they are blended up! 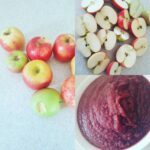 Remember apples are a superfood too! Just try to buy Australian grown, organic where poss especially if getting all those beautiful nutrients from the skins.